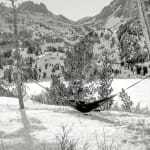 Bringing a hammock is usually something we think about when planning our next hiking or camping trip. But there are great reasons to bring your hammock with you the next time you fly too! When traveling, many times you’ll find the yourself in those situations where you think, ‘If only I brought my hammock with me!’ On a recent trip I took, I brought along my hammock and it was one of the best decisions I made for the trip. I recently spent some time backpacking Asia, and hammocks were a huge part of the culture in South East Asia. Traditional woven hammocks were hung up in thatched huts, a comfortable place to wait out the monsoon rains. Sturdy bamboo hammocks made from a single piece of bamboo, split and woven with hundreds of interlacing bamboo strips, were common fixtures in open air cafes and bars. Even in the busy cities, heavier cotton fabric hammocks were strung up wherever two supports could be found, giving people a place to nap through the midday heat. 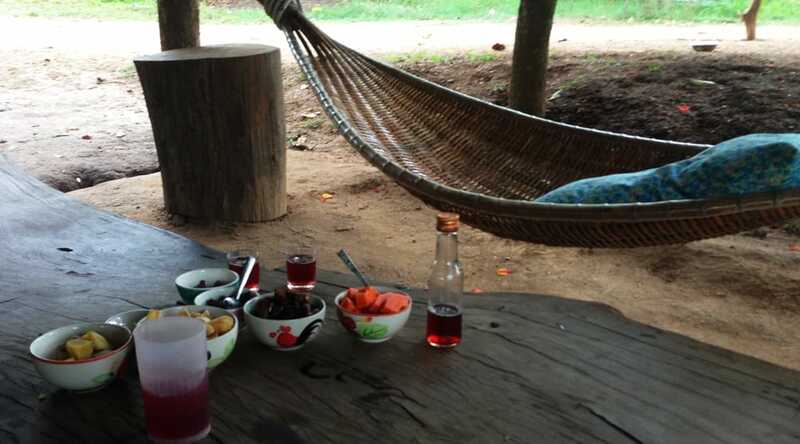 The moment I spotted the first few hammock in Thailand, I felt so glad to have my Serac classic tucked in my backpack. After the cool and dry season from November to April, South East Asia experiences a period of high temperatures and frequent heavy rainfall. The rain comes in short bursts that last a few minutes but pound anyone unlucky enough to be caught outside with a relentless torrent of water. To help travelers stay dry, you can find tons of bamboo huts with raised floors and thatched roofs to keep the sudden storms off your head. I had been traveling by motorbike scooter in the Mae Hong Son province of northern Thailand for a few days, hopping from town to town with a friend. In the mountain roads, thick fog consistently rolled through, signalling the start of sudden monsoon storms. 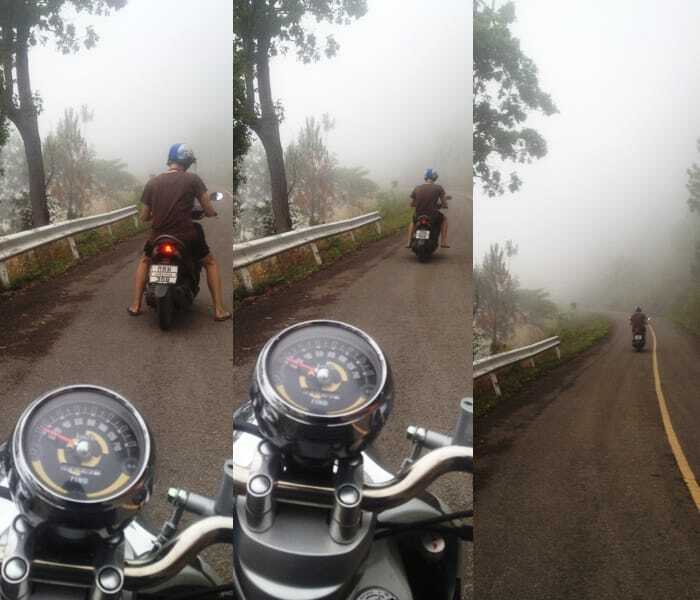 We were riding through a national park, when we noticed that the fog had gotten thicker, the air heavier with humidity. A storm was definitely about to hit. As the rain grew stronger, I began to panic just a little bit. Here we were in the middle of nowhere, torrential rain turning the truly deteriorated sections of dirt road into muddy creeks, on tiny mopeds with wheels as smooth as balloons. It dawned on me how terribly the situation could turn out for us. Just a bit further up on the road, I made out the shape of a small bungalow. The roof was leaky and there was nowhere to sit, but to me, it looked like heaven. We parked our bikes in the rain and ran for shelter. We unpacked our hammocks, looped the straps on the support beams and set them up to wait out the storm. The stress and anxiety of moments earlier melted away as soon as I laid down. My buddy and I talked about our good fortune for a bit before we both fell asleep to the pitter-patter of rain on sheet metal roofing. We probably ended up waiting for two hours before the rain died completely. Without a hammock, that would been a very uncomfortable two hours of just standing there, twiddling our thumbs. Out of the rainstorms, the hammock served even better. In the white sandy beaches of southern Thailand, relaxing in a hammock was the ultimate way to unwind after splashing around the warm tropical ocean. 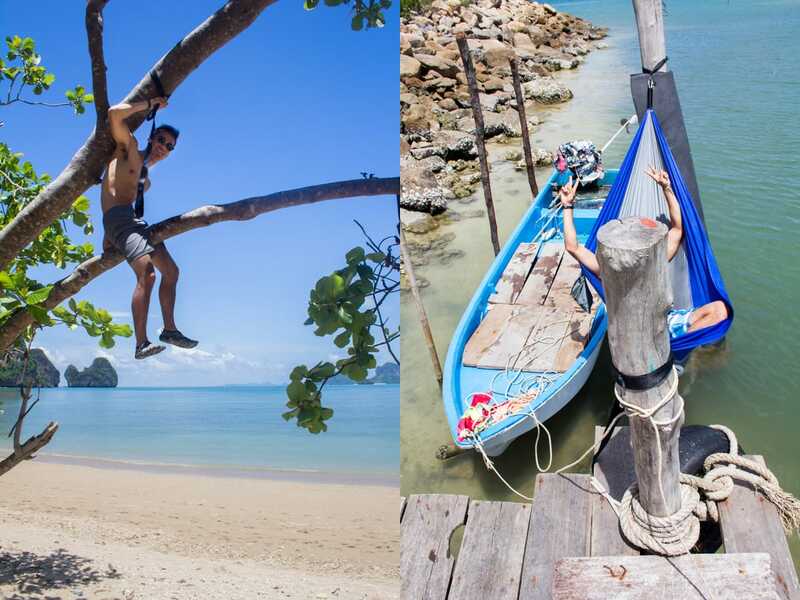 With so many trees lining the beach, I started looking for more and more creative ways to hang the hammock. 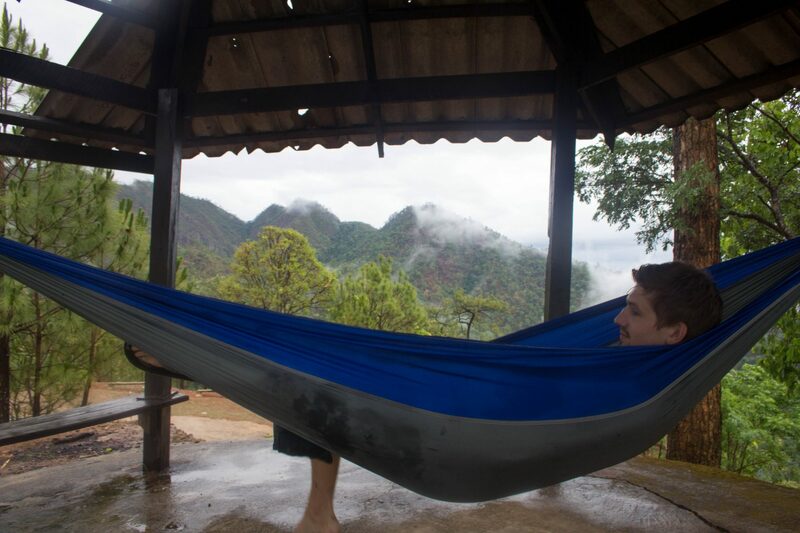 All in all, bringing my hammock with me on my travels was a great decision. It barely took up any space in my pack and the weight was negligible. It’s going to be a mainstay in my backpack wherever I go. 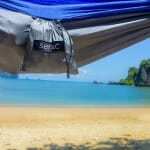 This entry was posted in Hammock Benefits, Hammock Uses, Narrative, Traveling and tagged Hammocking, Packing, travel.